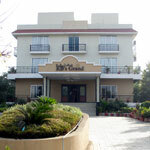 Hotel Ganpati Palace Shirdi, (Maharashtra, India) a 25 room hotel with 3 Star facilities located at a short distance from the famous Shirdi Saibaba Temple and a major pilgrimage centre in western India.Hotel Ganpati Palace is a new hotel and nearby to Sun-n-Sand Hotel Shirdi. 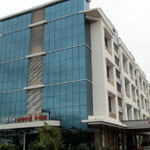 Hotel Sai Moreshwar Shirdi is a prominent hotel in Shirdi Maharashtra, India. 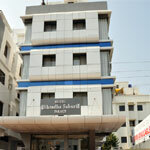 Conveniently located at a stone's throw distance from the Shri Sai Baba Temple . 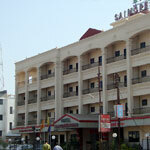 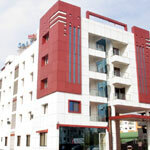 Hotel Sai Sangam Shirdi is a 2 Star deluxe facility, located at near Water on Park Shiv Road, Sonawane Wasti in Shirdi. 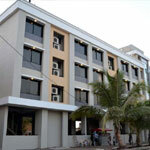 Hotel Sai Smaran, a budget hotel, is located within 5 minutes walk from the Sai Baba temple. 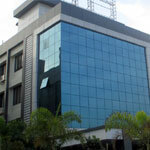 Shanishinganapur.com Associate off Nirvana India Enterprise is not the official website of any temple. 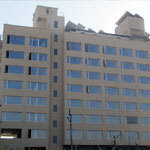 We are not representing any temple or trust or any associate of the Official Temple .This is a private and commercial site and has no link, relationship to Shanishinganapur trust.